What Kind Of Mortgage Should I Get? Which Auckland Suburbs Should You Keep Your Eyes on in 2019? With spring in full swing, buyers and sellers alike will be looking forward to the traditional surge in the property market that comes with the warmer months. 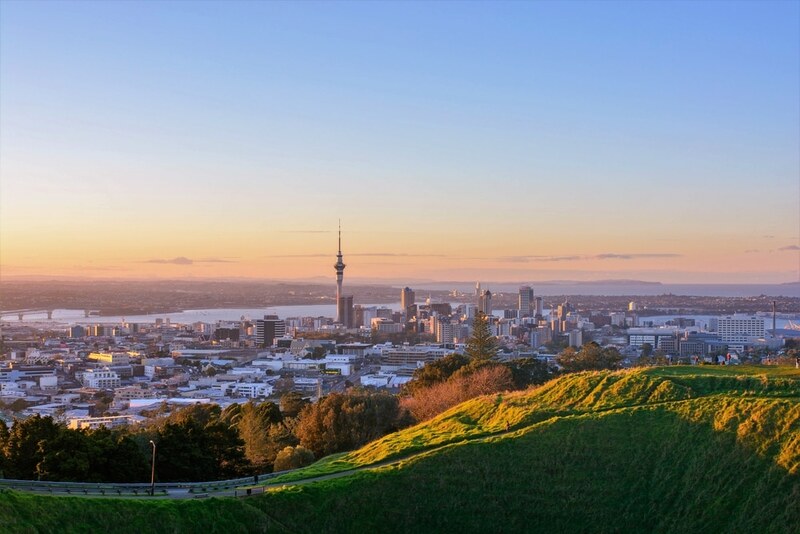 As 2019 is shaping up to be an exciting and eventful year for the Auckland property market. With a number of key developments and projects either getting started or entering the next stage in their development. With the Auckland market still highly competitive, buyers and sellers, alike, are constantly on the look for those ‘boom’ suburbs. Throughout Auckland, there is a number of exciting developments set to reshape the Auckland property market. We have put together a short list of areas or suburbs to keep your eyes on in the New Year. The northwest region of Auckland, which ranges from Westgate to Hobsonville Point, is expected to play a massive role in the continued growth of Auckland. What sets this fairly young region apart from the older, more established suburbs of Auckland is that infrastructure development is moving faster than the region’s population is growing. Various interested parties are pumping massive amounts of money into this area, in the hope, it becomes the major hub in the west. With a combination of residential and commercial projects being confirmed and transportation improving constantly, the northwest of Auckland is poised for rapid expansion. Just to the east of Auckland’s CBD, is Glen Innes. Glen Innes is poised to receive a huge boost from the recent and ongoing regeneration of the area. With housing developments, such as the Tamaki Redevelopment Project and a commitment to strengthen the area’s transportation and amenities, the region is definitely highly attractive for all. Still considered one of the more affordable areas of East Auckland, Glen Innes, provides a great opportunity for those wanting to step onto the property ladder. Due to the new residential developments, it is expected the area will see a big uptick in commercial and recreational activities as well. Great things are being planned for Warkworth, with Auckland City Council earmarking the region as a satellite town. Auckland City Council is anticipating over 20,000 new residents to move into the area within 10-years. A sizeable chunk of land has already been set aside for future development, and 200 homes are already under construction. Warkworth has the potential to be one of Auckland’s fastest going areas. With Silverdale providing jobs, transportation routes improving, shopping districts already booming and many Aucklander’s desire to escape the city growing. Watch out for the growth of this region and don’t be afraid to jump at an opportunity a tad early. As part of Auckland City Councils 20-year growth plan, one of Auckland’s oldest suburbs is being tipped for a massive influx of people over the coming years. The growth potential of Onehunga is truly unrivalled. Perfectly positioned between the city and airport, with major transport routes easily accessible and a wide choice of quality schools, is anyone surprised? With further infrastructure and public amenity projects in the pipeline, the future is bright for Onehunga’s prospects of being a lively and desirable hub. As far as inner city suburbs go, Mount Eden is one of the more beloved and sort after. Loved by young and old, Mount Eden is the perfect combination of easy going, family lifestyle and the hustle and bustle of urban city life. The areas around Normandy Road and Enfield Street, in the north of the suburb, have been earmarked for further development by Auckland’s Unitary Plan. Over the past few years, this area has seen significant rejuvenation from its industrial past. With modern apartments, cafes, bars and restaurants, breathing new life into the area. Additionally, with significant transportation work underway and proximity to traditional schools, expect Mount Eden’s growth to only continue. Over the next few years, Auckland’s housing landscape is set for a real shake-up. With countless developments and projects either starting or earmarked to start, now may be the best time to strike. 2019 is shaping up to be an interesting year and it could be your year to take that next step. However, remember, you don’t necessarily have to buy in the boom suburbs of today or the traditional ‘it’ suburbs. Keep an eye on the market, to see which suburbs are on the rise and then make your decision. If you would like to discuss the Auckland housing market and options available to you, don’t hesitate to get in touch today. Want to be kept up to date with the latest news? Sign up to our newsletters. © The Mortgage Supply Co. All Rights Reserved. © 2019 The Mortgage Supply Company. All Rights Reserved.